5-24: The number of accidents in York County’s 5-24-year-olds jumped 60% in 2014 and it remains the leading cause of death in this age bracket. 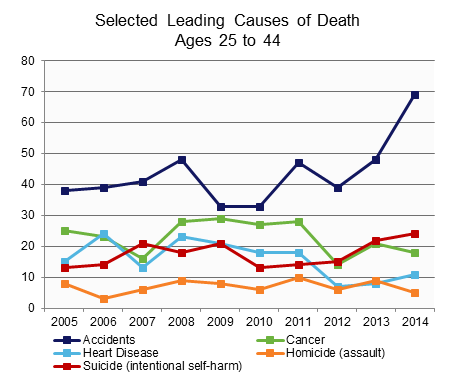 25-44: Accidents, suicide and cancer remain the leading causes of death for 25-44-year-old York County residents. 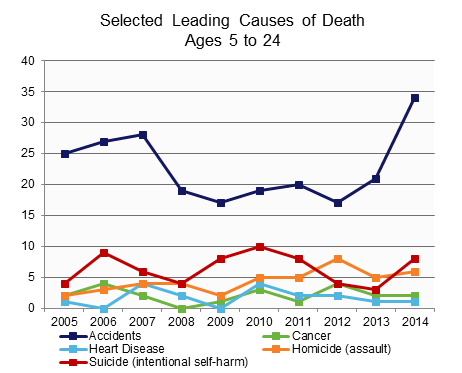 Suicide continues to increase as a leading cause of death in this age bracket, with a record-high 24 suicides recorded in 2014. 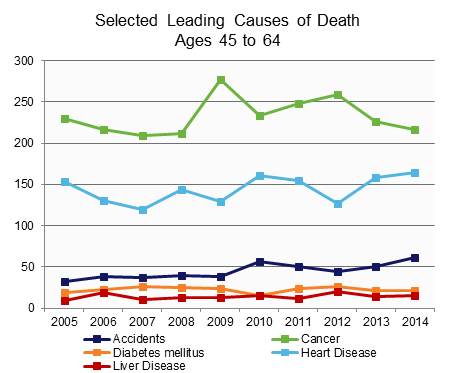 45-64: While the rate of cancer deaths has dropped, it remains the leading cause of death in 45-64-year-olds. Heart disease as a cause of death in this age group has increased slightly since 2012. 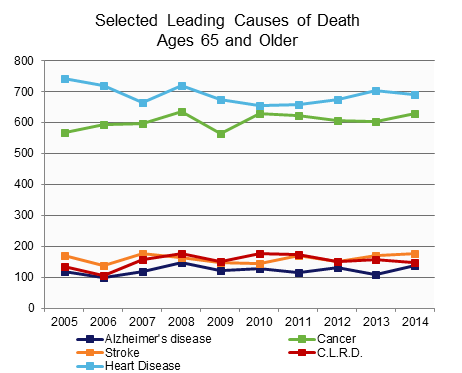 65+: Heart disease remains the leading cause of death in ages 65 and older in York County. Stroke and chronic lower respiratory disease have followed strikingly similar trends over a ten year period.